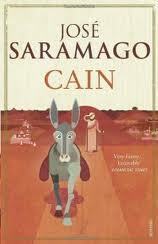 Although there are still volumes of Nobel Prize-winner Jose Saramago’s work appearing in English (most recently a collection of short stories, The Lives of Things, with an earlier novel, Raised from the Ground, to appear this year), Cain was the final novel that he wrote. It bears comparison with his earlier The Gospel According to Jesus Christ. It was this savage, satirical attack on religion that led to Saramago leaving Portugal for Lanzarote where he lived until his death in 2010. Although Cain is written in his usual style, with little regard for breaking the story down into the basic components of grammar (sentences and paragraphs), it is a much shorter, lighter read, similar to his previous novel, The Elephant’s Journey. Angels, too, take on a more human aspect, as when a starving Eve persuades one to collect fruit for them from the now out-of-bounds Garden of Eden (“Alright, I’ll bring you some fruit, but don’t tell anyone”). Ultimately Cain comes up with his own solution in the final chapters when the novel does darken and adopt a bleaker tone. Cain works well as a satire, though its targets may seem rather obvious and easy to hit. 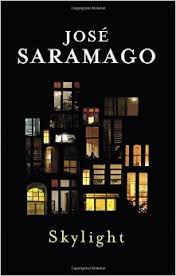 It does suggest, however, that in his battle with God, Saramago had the final word. You are currently browsing the archives for the Jose Saramago category.